Many of us wake up every morning craving that steaming cup of joe or hot tea to invigorate our bodies and prepare us for a long day ahead. But sometimes we miss that cup (or two!) of caffeine with dreaded results -- a caffeine withdrawal headache and other unpleasant symptoms. People who consume two or more 6-ounce cups of coffee per day and then interrupt or delay (even by a few hours) their caffeine consumption may develop a caffeine withdrawal headache. A caffeine withdrawal headache is located on both sides of the head, is moderately to severely painful, and tends to worsen with any physical activity. A caffeine withdrawal headache is not necessarily dose-related, meaning people may develop it even when they consume lower amounts of caffeine on a regular basis. Similarly, some individuals do not develop a withdrawal headache after delaying caffeine intake, despite regular high caffeine consumption -- it all just depends on the individual (potentially a person's genes are at work here). The good news is that a caffeine withdrawal headache is usually relieved within an hour by consuming a cup of coffee -- or whatever is equivalent to 100mg of caffeine. There are multiple sources of caffeine besides coffee, like certain teas and sodas, coffee ice cream and yogurt, chocolate bars and candies, especially dark and bittersweet. 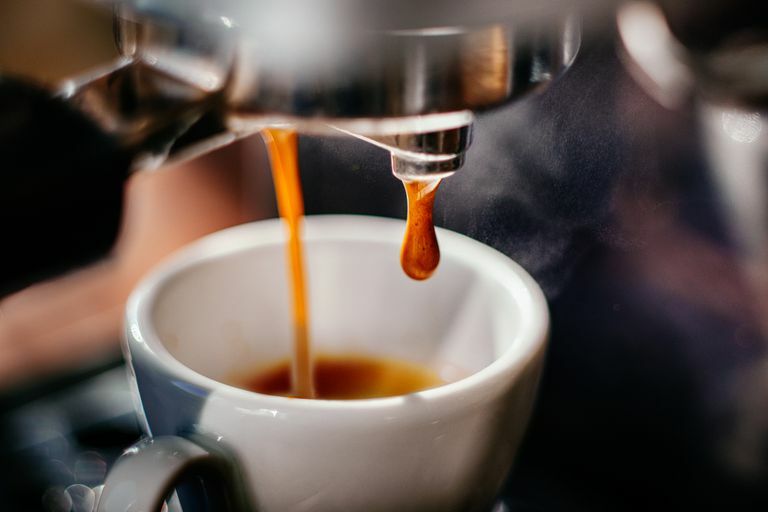 Although it's theoretical -- meaning not scientifically proven -- it's believed that headache medications that contain caffeine can also lead to caffeine withdrawal symptoms. Examples of medications that contain caffeine include Excedrin and the headache prescription medications Fioricet and Fiorinal. According to the National Headache Foundation, you can minimize a caffeine withdrawal headache by a gradual reduction of caffeine followed by stopping it or simply moderating your intake. For the complete caffeine elimination approach, John Hopkins neurologist Dr. David Buchholz in his book "Heal your Headache: The 1-2-3 Program for Taking Charge of Your Pain," proposes a cold-turkey approach, or alternatively, a maximum two-week caffeine taper. In the headache world, caffeine is the ultimate paradox. On one end, caffeine can help treat migraines and tension-type headaches. On the other end, daily caffeine intake has been linked to both chronic migraines and medication overuse headaches. Finally, you are at risk of developing a withdrawal headache if you miss or decrease your usual amount of caffeine. Think carefully about what the right solution is for you: caffeine elimination or just moderation. Bigal ME, Sheftell FD, Rapoport AM, Tepper SJ, Lipton RB. Chronic daily headache: identification of factors associated with induction and transformation. Headache. 2002;42(7):575-81. Bordeaux B, Lieberman HR. Benefits and risks of caffeine and caffeinated beverages. In:UpToDate, Basow DS(Ed), UpToDate, Waltham, MA, 2015. Retrieved April 10th 2015. National Headache Foundation. Caffeine: A Review of the Evidence. Retrieved January 24th 2016. Did MSG From Your Take-Out Food Cause a Headache?